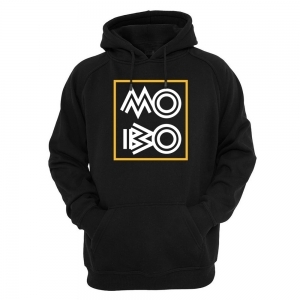 Black MOBO Logo Hoodie. 80% ringspun cotton 20% polyester. Drop shoulder style and three panel, double fabric hood.